I received this cute children's book a couple of weeks ago, and fell in love with it, while reading it to my girls at bedtime. The story is a sweet one -- about a small polar bear who makes friends with a little girl. 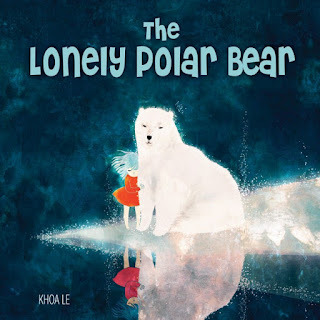 Now that would be a great story in and of itself knowing that the polar bear was lonely, but the author goes one step farther and uses the story to introduce young children to climate change issues. As you read this heartwarming story, which is set in the fragile Arctic environment, you can't help want to share with your children the need to take care of our planet, so it will be here for years to come, not just for humans, but for the plants and animals that are here, too. The illustrations, especially of the Northern Lights and polar bear are breathtaking. Each page looks even more magical than the last, as you flip through the pages and are pulled into the story. I can't wait to pick up more books by this author/illustrator, Khoa Le. "This sweet children's picture book presents a moving story, set in a fragile Arctic world threatened by global warming. 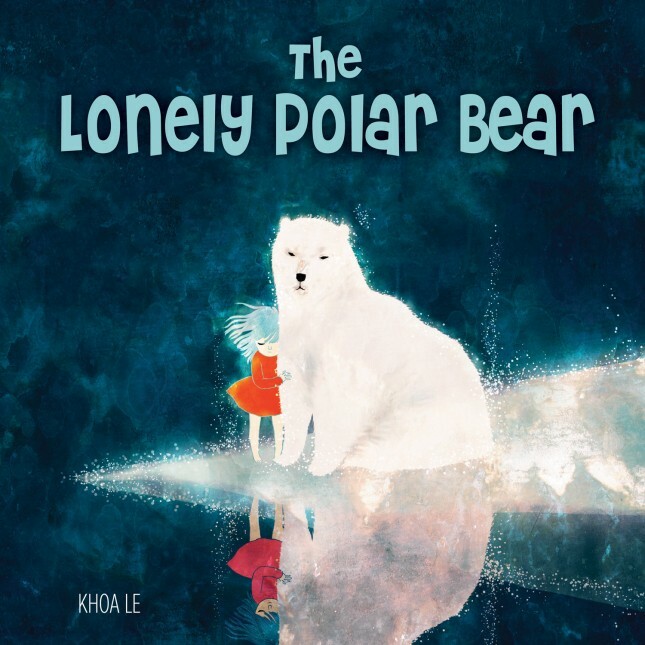 Featuring exceptionally beautiful illustrations, The Lonely Polar Bear offers an accessible way to introduce children to climate change issues." I like educational books quite a bit. This would be a good one as it would be written from he polar bear's point of view!